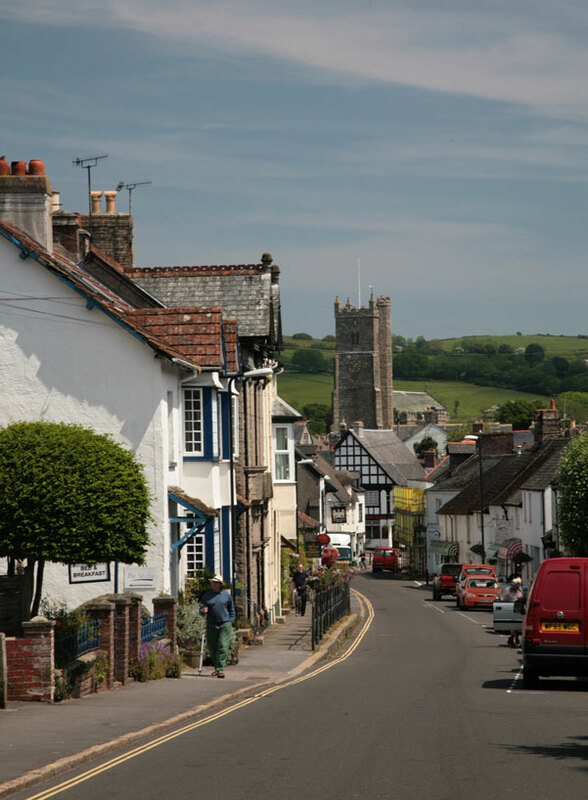 Moretonhampstead was originally known as Mor Tun and was the major settlement of land within the boundaries of the rivers Teign and Bovey occupied by the Saxons soon after 682 AD. By 1086 AD the Manor of Moreton, with some neighbouring manors, supported more than five thousand sheep. The wool trade formed the basis of the town’s economy for more than 700 years. Towards the end of the 13th century a water-powered fulling mill was set up and the trade was firmly established. The charter for a weekly market and an annual fair was granted in 1207 by King John. At that time the rent was set as one sparrow hawk per year and the bird has become something of a symbol for the town. Morton grew steadily through the Middle until the end of the 17th century when the wool industry began to decline. However the town continued to be a local trading centre and a vital stage on the routes across Dartmoor and from Exeter and Newton Abbot. 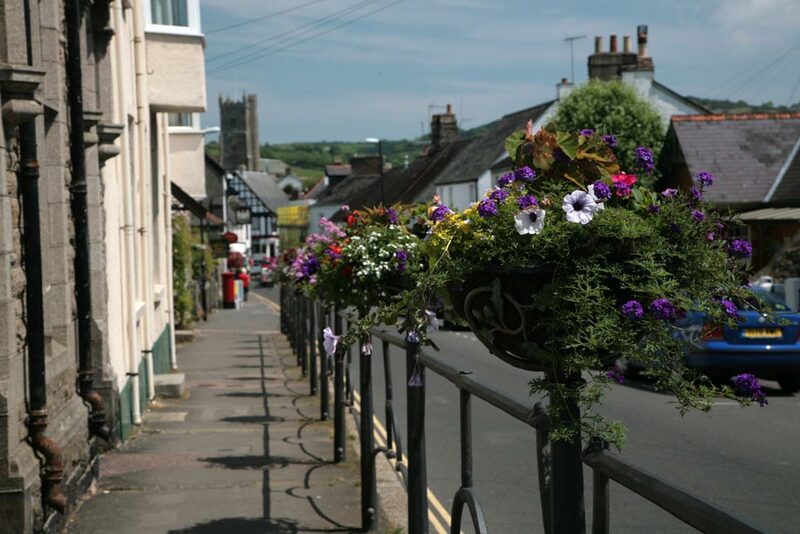 Many of Moretonhampstead’s ancient buildings were destroyed by a series of fires in the last century, but much of the town is designated a conservation area and there are many buildings of architectural and historic interest. 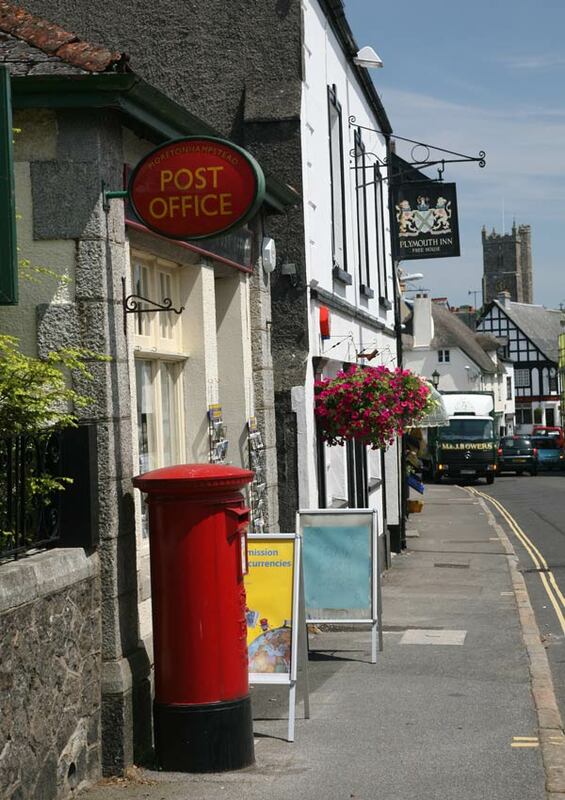 The whole town is within Dartmoor National Park. 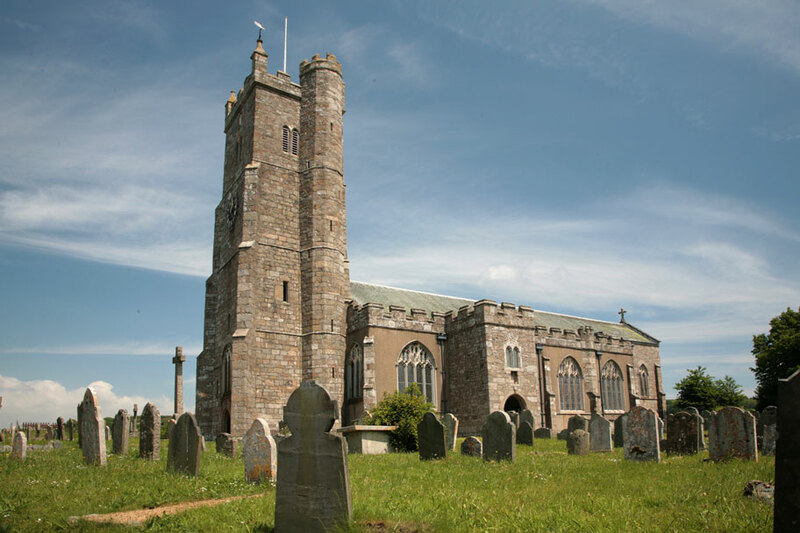 Dating from the mid 15th century, the granite Church of St Andrew is situated on high ground adjoining the sentry. Cromwellian troops passed through the town but the church does not appear to have suffered from vandalism like so many neighbouring churches at that time. The church was restored and enlarged in and a handsome new screen, an organ. An organ chamber and vestry were added. There is also a very fine carved oak rood and some nice tracery in some of the windows. The Cross Tree was immortalised by R. D. Blackmore in his book Christowell is represented by a cross minus its shaft and enclosed near the Alms Houses. The fine old elm, cut and clipped in the form of a punch bowl and around which the village lads and lasses used to dance, has long since disappeared. In its place a beech tree has been planted. It is recorded that French officers on parole from Princetown Prison during the Napoleonic Wars, assembled around the Cross Tree with their band. Standing behind the Cross Tree are the famous granite Alms Houses. 1637, the date on the outside, is when they were refurbished and research has shown that the basic buildings are at least two hundred years older. Early in the 19th century the facade was damaged and by 1938 they had fallen into disrepair. In 1952 they were purchased by the National Trust. Not far away is Dartmoor’s Miniature Pony and Animal Farm which has more than 150 animals including not only the famous miniature ponies and donkeys but very friendly pigs, goats, calves and lambs. 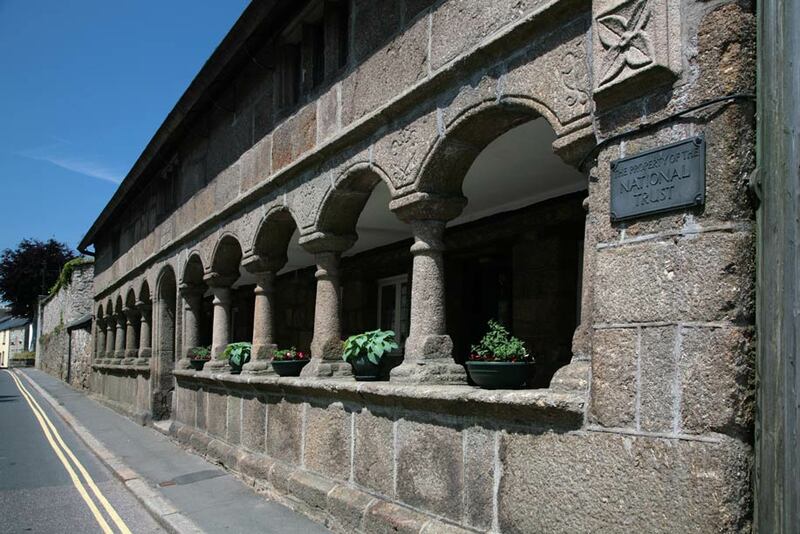 Moretonhampstead boasts an impressive range of artists and studios and a new art gallery has recently opened, specialising in local contemporary artists, 18th and 19th century portraits, equestrian art, decorative antiques and contemporary pieces. The gallery is located in the restored former Natwest bank building, believed to have been designed by Lutyens. Moretonhampstead also has its own forge which is open to the public.